After discovering that Toronto will be getting pandas at the Toronto zoo, I also learned about an entrepreneur in China using panda feces to make tea. Yeah, that’s right. The Telegraph, in an article titled Secret to world’s most expensive tea – Panda droppings, describes how the Chinese entrepreneur An Yanshi believes that panda dung will be the key ingredient in the world’s most expensive tea. “The former calligraphy teacher has purchased 11 tonnes of faeces from a panda breeding centre to fertilise a tea crop in the mountains of Sichuan province in southwestern China, home to the black and white bears. An says he will harvest the first batch of tea leaves this spring and it will be the world’s most expensive tea” at almost 220,000 yuan ($35,000) for 500 grams (18 ounces).” Read more about this here. So, apparently, panda dung has a lot of nutrition – making for better tea than chemical fertilizers. 70% of the bamboo consumed by pandas is excreted. Is it just me, or does this idea sound CRAZY?! 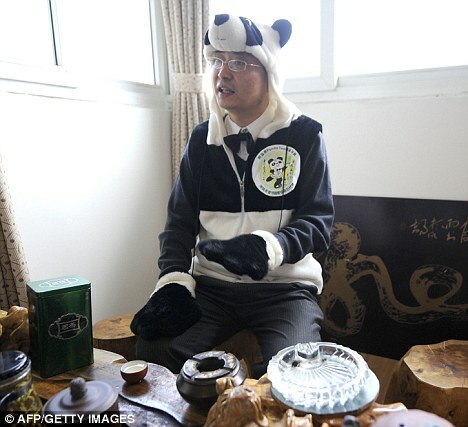 Best of luck to An Yanshi – I do hope he creates a wonderful tea. But at the cost of $35,000 for 500 grams, it better be a miracle tea! In other news, don’t forget tomorrow is Valentine’s Day!!! Get out to your favourite tea store and pick up something special for your loved ones! Can we try this in North America?